The book provides a comprehensive introduction to the many aspects of the subject of basic hypergeometric series. The book essentially assumes no prior knowledge but eventually provides a comprehensive introduction to many important topics. 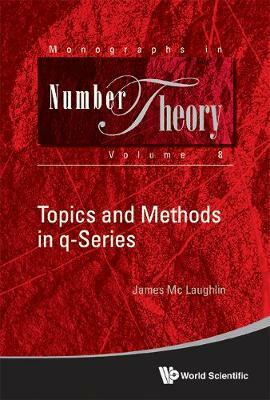 After developing a treatment of historically important topics such as the q-binomial theorem, Heine's transformation, the Jacobi triple product identity, Ramanujan's 1-psi-1 summation formula, Bailey's 6-psi-6 summation formula and the Rogers-Fine identity, the book goes on to delve more deeply into important topics such as Bailey- and WP-Bailey pairs and chains, q-continued fractions, and mock theta functions. There are also chapters on other topics such as Lambert series and combinatorial proofs of basic hypergeometric identities.The book could serve as a textbook for the subject at the graduate level and as a textbook for a topic course at the undergraduate level (earlier chapters). It could also serve as a reference work for researchers in the area.